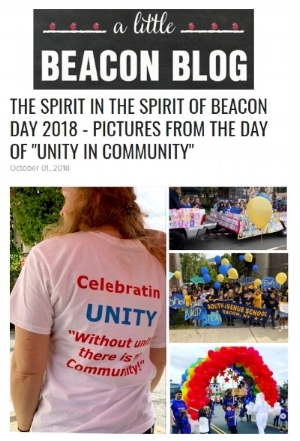 Thank you to everyone who joined us and participated in the Spirit of Beacon Day 2018. Please check out thank you notes and photos on our Facebook page. 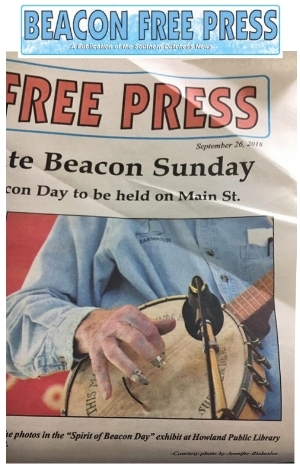 Also thank you to the Beacon Free Press, Highlands Current, Video Ventures, Poughkeepsie Journal and Little Beacon Blog for their coverage (click on each article to view ). Thank you to everyone who came and supported the Spirit of Beacon Barbecue Fundraiser on July 21st and to everyone who volunteered. All proceeds will go towards funding the 2018 parade and festival: to help pay for bands, banner/promotions, school floats contribution, non profit insurance and bathrooms for the event. Thank you to the Beacon Elks Club and Jr, the President, Mayor Randy Casale and city council members for your support. To local restaurants for their generous food donations, KeyfoodBeacon, The Roundhouse, Beacon Pantry, Max's on Main, The Chocolate Studio, Homespun Foods, Tito Santana Taqueria, Barb's Butchery, Quinn's, Beacon Bagel. Music and entertainment by Daria Grace / Mini Kimono, and Yanarella School of Dance.Thank you to the Beacon High School volunteers from the National Honor Society, with Fran Vakirtzis- And a big THANK YOU to the amazing team from our committee, chef Tom J Pantano and friends, Karen James, Robert Phillips,welcome and donations, Linda Kimmel, games,Romi Domoulin, honored guest and raffle, Tony Lassiter, honored guest, Deborah Bigelow,food and donations Gwenno James,coordination, Josh McKible,logo, food, games, Jeff McHugh,setup and games, Clareann Grimaldi, food volunteer, Cindy Gould, photography and food volunteer, Zero to Go, recycling. Check out more photos of the event on our Facebook page. Looking forward to our Spirit of Beacon Barbecue Fundraiser next Saturday, July 21st at the Beacon Elks Club. Thank you to the Elks Organization and in particular Jr, Elks Persident and Cathy Oken. Photo from left to right : committee member Linda Kimmel ( fundraiser games coordinator) JR, President of the Elks Lodge, Tom J Pantano, committee member and barbecue chef . See you next Saturday! New volunteers have joined the Spirit of Beacon Day committee to carry the torch forward into its 41st year. Following an announcement made in 2017 that the Spirit committee would be stepping down after running the parade for many years, local residents have stepped up from across the community to continue the tradition. A meeting was held at the Howland Public Library on March 8th to start planning for 2018. Present were honorary guests including members of the previous Spirit committee, who shared information and gave their support, alongside new committee members.